THE GORDON GROUP qualified and won a Best of HomeLight 2018 award! We ran the numbers on real estate agents across the country and you were in the top 5% of agents in your area. HomeLight uses objective real estate market data to match buyers and sellers with top real estate agents in their area, based on the agent's skills and accomplishments. Best of HomeLight winners represent some of the most talented and customer-focused real estate agents working today. We're pleased to give you this recognition and give you a platform to showcase your expertise. THE GORDON GROUP gets the job done - completing more sales than the average Las Vegas agent by 14%. "I highly recommend! Extremely professional, dedicated and eager to help! If you’re looking for a real estate group for buying or selling properties, look no further! 5 stars!" "When we moved from a small town in Oklahoma to the Las Vegas area, JJ was amazing to work with. He became more than just our Realtor, but also our go-to guy any time we had a question or information. He always went above and beyond and was very patient. When we sold our house three years later to relocate out of state, we choose JJ to sell our house. He sold our our house in three days and was again a pleasure to work with. I'd recommend JJ to anyone looking to buy or sell in the Las Vegas area." 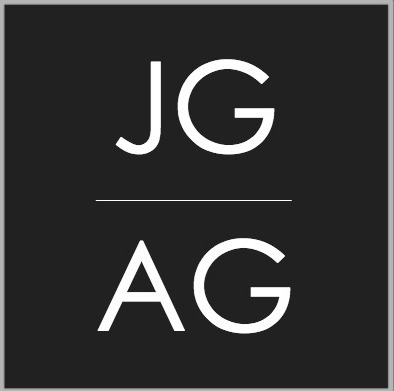 "What a great experience I had finding and buying a house with JJ Gordon. He is detail oriented, never puts off 'til later what he can do right now (!) and you can always reach him by phone or email at any time for any reason. That's so important because it ensures you never get to the point of frustration and you never feel like you're in the dark about anything that's happening with your sale. JJ knows Las Vegas completely - I think the fact that he was born and raised here helps. He is also kind and pleasant and unfailingly courteous. Buying or selling a home can be a stressful experience, but it really wasn't at all this time. I'm totally pleased. My advice? Call JJ!" "He was always bending over backwards to help me. Everything was done in a timely manner (at least the things that we could control). I feel like he went out of his way to help me, and he clearly explained anything that I didn't understand or wasn't too sure of. Even after I bought the house, he is still available and willing to help me. Not only is he great at his job, but he is very friendly and courteous, which made it really fun to look at all of the houses. I would definitely recommend JJ!" "JJ is a great real estate agent who helped me greatly when I decided to purchase my first home. I highly recommend JJ!"